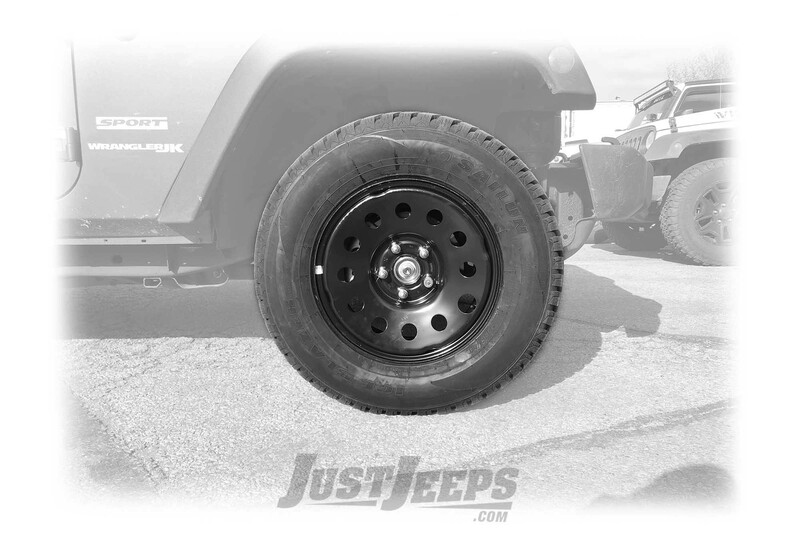 Just Jeeps 17" Winter Tire Package with Black Steel Wheels 265/70R17 For Jeep Wrangler JK | Jeep Parts Store in Toronto, Canada. Durable, Black Steel Winter Package that is a rugged and reliable bad-weather alternative and is great for any off-road adventure. Note: Wheel Spacers needed for lifted jeeps over 2" with longer rear end links!